The aroma of a nicely roasted turkey, just ready to be carved; all you favourite veg, freshly cooked and waiting on the table; and a chilled bottle of something special being poured into your glass. Christmas heaven, eh? Errr..... hang on! If you're the one in the kitchen, the biggest meal of the year certainly ain't no Christmas treat. That's why you should either choose to give yourself a break from the kitchen this year - or source those extra special ingredients that will make it all worthwhile come coffee time. Whatever your choice, here it is on a plate. Award-winning organic turkeys, geese, ducks, pork and beef. Order online. Bronze free-range turkeys + geese, duck & cockerel! Free-range Bronze turkeys. Order by phone or email. 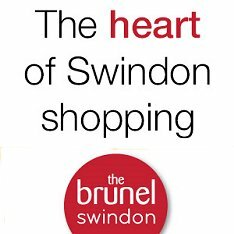 Or perhaps a trip to your local farmers market in Swindon to stock up? You don't need to be wine toff to appreciate a nice bottle of vino. Choose something better than the norm and the whole meal becomes much more of an occasion and a celebration - as it should be. Go on, splash out on some bubbly, a nice red, a crisp white and brandy to finish. And did we mention port?! There is something very satisfying knowing that all the hard work has been done. And especially when it's been done by others! So whether it's just a turkey lunch you fancy in the run up to Christmas, or giving mum a break on the day itself, here's a few options.